Peter was appointed the 2019 Associate Conductor after a successful audition and interview. Peter’s educational qualifications involve a Bachelor of Music degree from the University of Melbourne, majoring in Performance and Composition, a Master of Music in Composition from the University of Melbourne and a Certificate of Advanced Studies from the Royal College of Music in London, majoring in Composition and Conducting. His undergraduate performance studies included oboe and trombone, whilst the creative studies in composition provided him with a detailed understanding of the structural and conceptual rudiments of music. As a professional musician his career has embraced composition, performance and education both individually and collectively. His creative endeavours have included commissions for the Adelaide Symphony Orchestra and the Victoria State Opera. He has performed as a trombonist with Victoria State Opera and the Channel Nine Studio Band and has enjoyed a career as a freelance musician, which culminated in regular work with a dance band for more than a decade. In addition, he has both performed with, and composed for, the Grainger Wind Symphony. For the last twenty-six years he has held the position of Director of Music at Penleigh and Essendon Grammar School, combining music education with external creative and performance pursuits. His initial interest in conducting emerged out of a basic necessity to direct rehearsals and performances of his own compositions. This early interest metamorphosed into a formal interest and understanding of the art as a consequence of the pedagogy and encouragement of the late Richard Divall, who at that time was the Music Director of Victoria State Opera. Richard granted him invaluable insight into the role of a conductor, score preparation and the importance of a clear and decisive stick technique. Formal conducting training was undertaken at the Royal College of Music in London under the guidance of John Forster, who lectured and tutored in the importance of interpretive stick technique and its practical application. John Davis was appointed the Associate Conductor for 2018 after a successful audition and interview. John Davis has been a music educator for 25 years, having recently served as a Teacher Peer Evaluator for the Hillsborough County Public Schools in Tampa, Florida and as Director of Instrumental Music at Riverview High School. His bands have twice been selected to perform at Bands of America Regional and National Concert Band Festivals, while three of his programs were selected as Music Demonstration Schools by the Florida Department of Education. In addition, his Flanagan HS program was named a Grammy Signature School and winner of the 2002 Grammy Award of Special Merit. He is also a past member and brass instructor for the DCI World Champion Cadets Drum and Bugle Corps. Mr. Davis holds a Bachelor of Science Degree in Music Education from The Pennsylvania State University, and a Master of Wind Conducting from James Madison University. In 2017, he completed his Master of Education Management and Leadership degree at the University of Melbourne. Mr. Davis currently teaches at Sacred Heart Girls’ College and Blackburn High School. 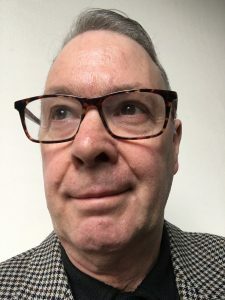 Mr. Davis has served as an adjudicator for the Victorian Schools Music Festival, and has been in demand as a clinician for school bands in Victoria and New South Wales. He performs with D2 Drumline, conducts the Melbourne Tramways Band, and serves as Director of the marching band for Syrian refugee children through the Australian Syrian Charity. Currently John is teaching in Florida, USA. Shane Walterfang is a Melbourne born conductor, trumpeter, and teacher. 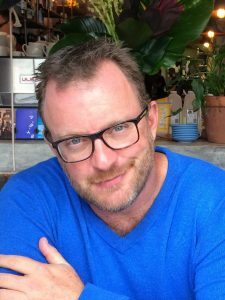 He received his Master of Education from Deakin University, Diploma of Education from the University of Melbourne and Bachelor of Arts from the Victorian College of Arts. Shane has been involved with community concert bands and orchestras for 20 years with conducting credits in New Zealand, China and India. He is currently Associate Conductor of the Grainger Wind Symphony and Musical Director of the Chelsea Concert Band. Shane is also a past Musical Director of the Monash Philharmonic Orchestra and the Cranbourne Lions Concert Band. He has also been MD for several musical theatre productions including Anything Goes, Me and My Gal, Pippin and Annie. His conducting teachers have included Roland Yeung, Rob Wagner, Jerry Nowak and Felix Hauswirth. As a trumpeter, Shane has played with 5 of Australia’s professional orchestras including 10 years with the Australian Pops Orchestra and was introduced to everything from Paul Whiteman to Frank Zappa while playing with the Anne and John Hawker Big Band. Shane is a committed educator who aims to provide a range of engaging and stimulating experiences to encourage people to pursue music as a lifelong activity. He has held the positions of Head of Brass, Director of Music and VCE Coordinator. 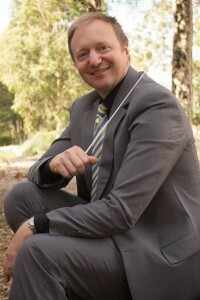 He is also a past Chair of the Australian Society for Music Education (ASME) – Victorian Chapter. Shane is currently the conductor of the Chelsea Concert Band.